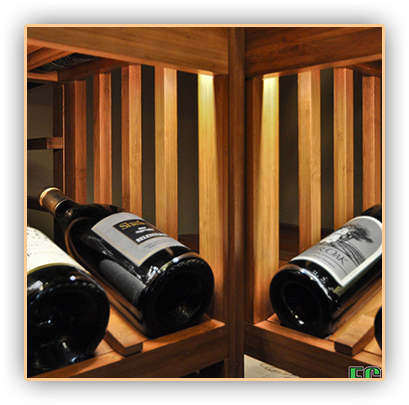 Custom Wine Cellar Builders California, Laguna Beach Project . thousand feet above Laguna Beach at a house that was built in 1956 actually and we renovated an area that we’re going to take you on a short tour of; we’ve added a custom wine cellar Laguna Beach. of this area. It has been remodeled as early as 2008. This area back here, we turned into a wine cellar, was originally a dry sauna that was added to the house in 2002 and our clients didn’t really have a need for the dry sauna so we’ve turned this area into a custom wine cellar California. It’s about 10’ deep and at its widest point maybe 5’ and I want to show you folks that here we’ve used a self-contained wine cellar cooling unit. This is the back end of the wine cooling unit where the exhaust and the fan are away from the wine room. This is an electrical panel that controls all the electrical for the wine room. This beautiful door is our Barolo style wine cellar door. It’s a mahogany door with a light stained finish on it, dual paned glass, weather-stripping. It’s a total seal to help keep the air for the wine room airtight. So, if you’d come in to the wine room, this was originally just a series of benches. It had the dry sauna material here in the bottom right. There was a Jacuzzi poke because just on the other side of this left side wall is the master bath, so we had some challenges in this wine room we had to overcome. We had to conceal a pump which we couldn’t remove. 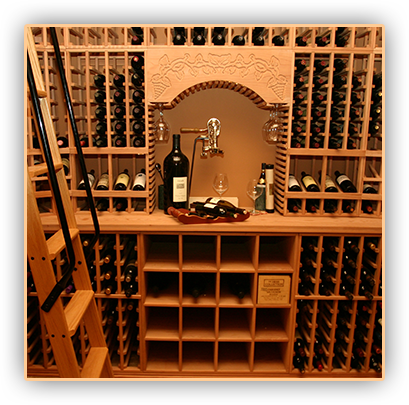 Coastal Custom Wine Cellar Builders Laguna Beach actually did a beautiful job of including a removal panel should we ever need to get to that. This wine cellar is mostly single bottle storage. We obviously have a beautiful, what we call solid arch here. It’s got a pub light here and there’s nice solid premium redwood table top area for decanting or serving. that illuminate this area as well as the LED light for the arch. This wine cellar was originally a dry sauna as we mentioned and at its deepest point is maybe 10’ and its widest point is about 5’ with just about 7’ ceilings. There was a series of benches, dry sauna equipment; the entire walls were kind of a tongue and groove paneling if you will with concealed nails, so there’s a lot of obstacle in this wine room. We actually created here a removable compartment because of some Jacuzzi equipment back there. But for the most part we’ve got in the neighborhood of 800 bottles of wine that were stored. 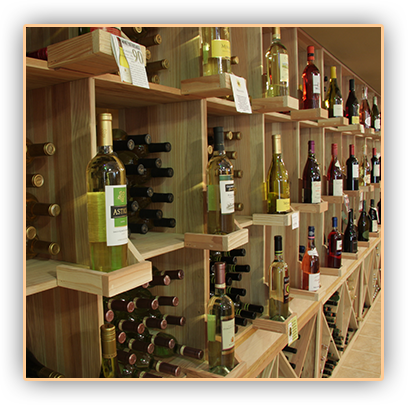 For the single bottle wine storage racks, we’ve got high reveal display lighting or the rope lighting which you can see there. These bottles are pitched to the 15 degree angle. We’ve got a beautiful arched area here for decanting with diamond bins storage below the table top and beautiful wood flooring. Cheers! 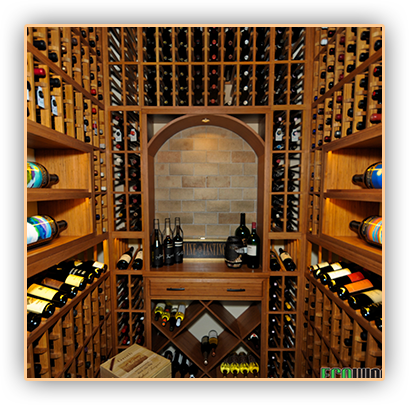 This entry was posted in Wine Cellar Builders, Wine Cellar Builders Chicago and tagged custom wine cellar California, custom wine cellar Laguna Beach, wine cellar builders, wine room by CustomWineCellarsChicago. Bookmark the permalink.